Item RHSC-09-063 - "Lowell, USA, Swamp locks"
Lowell, Massachusetts was incorporated in 1826 to serve as a mill town and was named after Francis Cabot Lowell, a local figure in the Industrial Revolution. The city became known as the cradle of the American Industrial Revolution, due to a large series of textile mills and factories. 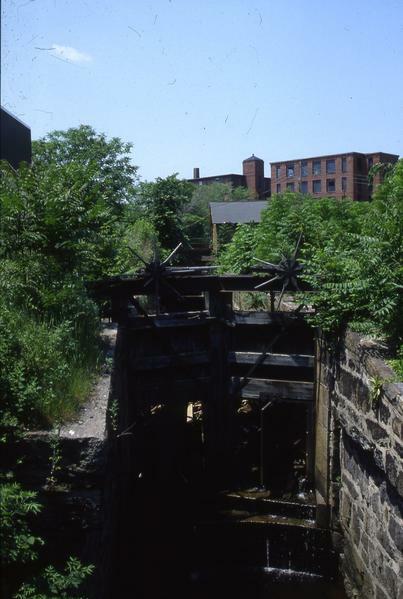 Many of the Lowell's historic manufacturing sites were later preserved by the National Park Service to create Lowell National Historical Park.